Scottsdale, Arizona (March 30, 2017) – For Enthusiasts – By Enthusiasts.™ Much more than a tagline, it’s our lifestyle. One that infuses all aspects of our auction events. Fresh off a thrilling, action packed and highly memorable Scottsdale auction event, Russo and Steele looks to move our 17th season of cars and camaraderie into overdrive and keep the pedal to the metal towards the perfectly manicured beaches of one of the foremost lifestyle destinations on earth: Newport Beach, California! Widely known as one of the worlds most developed and sophisticated car cultures, the sun, sand and surf of Newport Beach, California provides an exquisite backdrop, with the fabulous Newport Dunes Waterfront Resort providing the ultimate stage for the most exciting collector automobile auction company in the world and its 3 days and over 400 European Sports, American Muscle, Hotrods, Customs and Late Model Exotics. As the second stop in Russo and Steele’s 2017 auction series, Newport Beach, California follows a record setting Scottsdale event featuring the companies brand new, premium auction location at Salt River Fields at Talking Stick. The upcoming event promises to be a supercharged extension of this and expects to produce spirited bidding and even more of the companies signature high energy auction excitement. Experience Russo and Steele in Newport Beach for yourself! Bidder registration is just $200 and includes admission for all 3 days of “Auction in the Round” action for the bidder and one lucky guest. 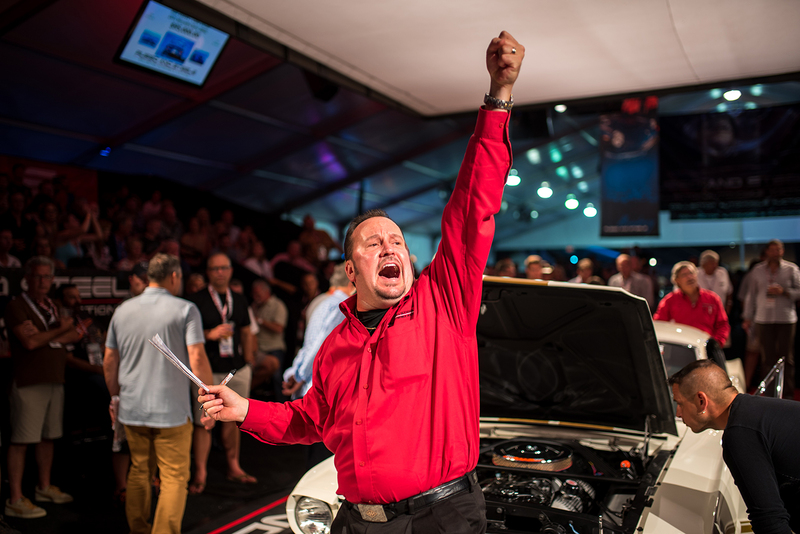 Stay tuned for further updates on our 5th annual Newport Beach auction and event schedule and join us for the ultimate California collector car beach party!